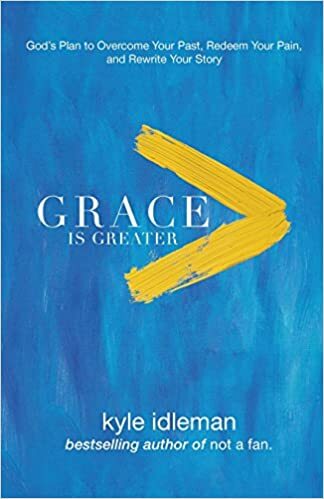 Grace is Greater by Kyle Idleman: Kyle has written some great books. I think this is his best. Every person on the planet needs to read how God’s grace is bigger than our biggest fears, mistakes, and inadequacies. I basically highlighted all of chapters 4-7. They are dripping with Biblical, hard-hitting, grace-filled application for the church today. Kyle lives what he writes, long before he starts typing. I love reading authentic authors. Lastly, you should know that the book is perfect for small groups or friends to study together. 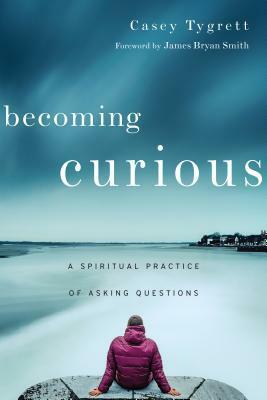 Becoming Curious by Casey Tygrett: The people who’ve most encouraged me and caused me to grow have been wildly curious. Curious people ask lots of questions. They are genuinely interested in knowing God, knowing you, and knowing themselves. Curious people exhibit childlike wonder and they solve grown-up problems. 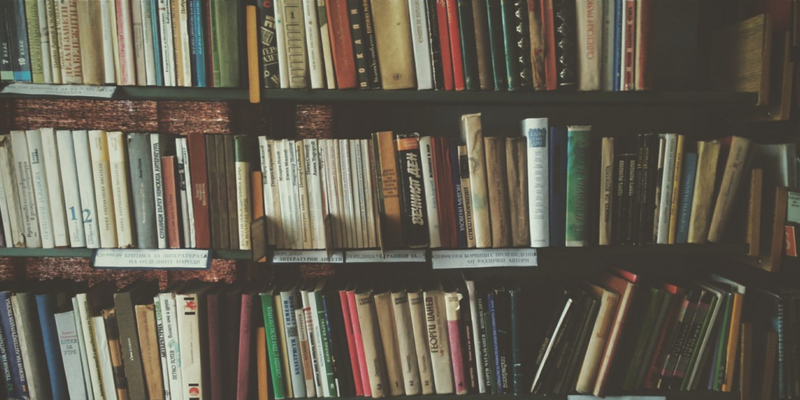 By the time you’re done with the book, you’ll be ready to exercise the spiritual discipline of being curious. 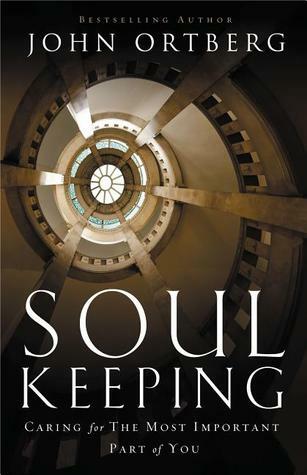 Soul Keeping by John Ortberg: Until I read this book, I’d never realized how ignorant we are about our souls. Ortberg tells how Dallas Willard taught him to take care of his overworked, unattended soul. It saved his life, ministry, and marriage. Several times, while reading it, I had to lay it down and go for long quiet walk, sometimes in tears. You owe it to yourself to dive deep into this book. 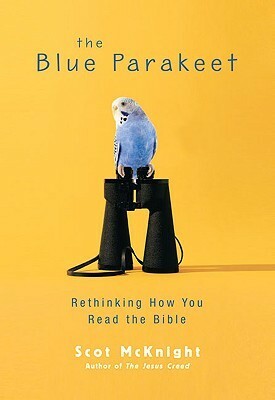 The Blue Parakeet by Scot Mcknight: “How do you read your Bible?” Without a proper reading of God’s Word, we cage truth inside of our own traditions, opinions, and misunderstandings. This leads to misguided lives, misguided churches, and misguided arguments. I had the privilege of having a cup of coffee with McKnight last summer. He’s a prestigious theologian with a humble, kind manner. It makes sense that he was able to offer a doctrinally-rich path for everyday people to read, understand, and properly apply the Bible. You’ll love the principles, and you’ll be helped by the examples he gives at the end of the book. 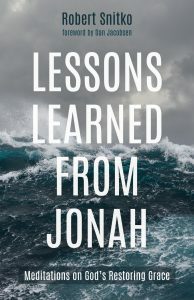 Lessons Learned From Jonah by Robert Snitko: I’m interested in devotionals that cause me to dive deep into Scripture, spotlight areas for growth, and lead me back to Christ’s grace. 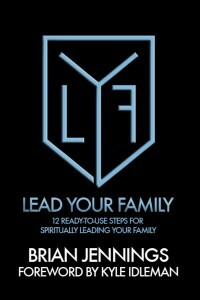 I led my family through this simple, helpful devotion. 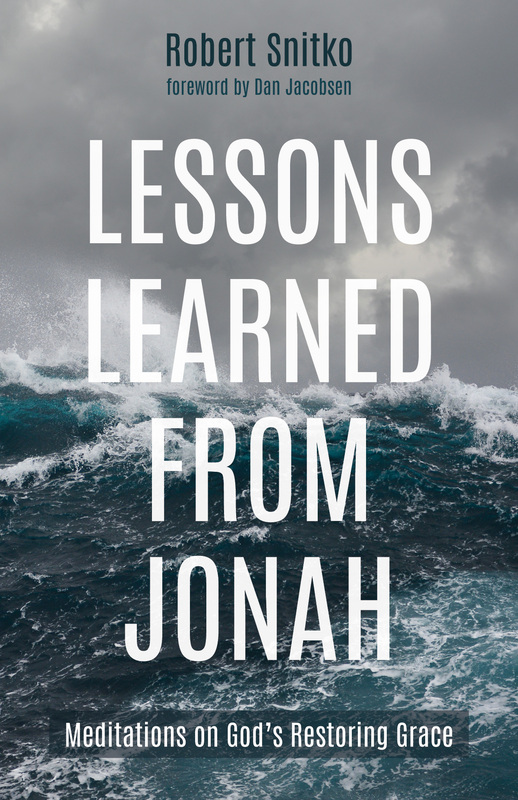 Every day begins with a reading from the book of Jonah, followed by insights, teaching, application, and discussion questions. Rob is a great guy and promising young writer. If you want to get a feel for him, check out when I got to be a guest on his podcast to chat about baptism. I listened to The Life and Times of Frederick Douglas, which Douglas penned in 1881. It took me a while to adapt to the vernacular (with wording like, “Upon closer inspection, I ascertained that the footsteps belonged to an old friend of mine…”), but by the time I’d finished I felt like the narrator was a close friend. (He did, after all, converse with me for eighteen hours over two weeks and several trips.) Douglas is one of the most remarkable human beings in our nation’s history. His intellect, bravery, perseverance, and unyielding optimism set him apart. Earlier this year, I’d also listened to Between the World and Me by Ta-Nehisi Coates. It’s elegant, poetic, and brilliantly insightful. But in the end, it’s hopeless, lifeless, and careless. The best Coates can offer his son (to whom the book is addressed) is to “join the struggle.” There’s no faith, no peace, no joy, no hope. And as much as the book depressed me, Douglas’ autobiography lifted me. We shouldn’t let a student graduate high school until they’ve studied his life well. Alexander Hamilton by Ron Chernow: Hamilton was remarkable in every way. Does reading his biography excuse the number of times I’ve listened to the musical? Killing Lincoln by Bill O’Reilly: Here’s proof that you don’t have to be enamored with an author in order to still love his/her writing. The book reads like a Grisham thriller but it’s all true. I couldn’t believe how much I didn’t know. Especially fascinating to me was his research into Booth, who might make my list of “Top 10 Most Despicable Men of All Time.” I haven’t finished O’Reilly’s series, but so far this is the best of the very good bunch. Be Free or Die by Cate Lineberry: How had I never heard of one man’s daring plan to escape slavery…with his family…including a baby…and friends…by stealing a treasured Confederate ship and piloting it out of the most fortified city in the South to a Union fleet? Spoiler alert: Robert Smalls did it! The book tells how he made his escape and then chronicles his remarkable life before and after his liberation. There’s a reason I had to wait three months for it to become available at the Tulsa Library. Bird by Bird by Anne Lamont: Lamont is delightfully hilarious. You’ll laugh your way from start to finish, but don’t let her humor fool you into thinking this isn’t the most brilliant book on the subject of writing. On Writing by Stephen King: The book is both memoir and handbook. When you read about King’s life, you’ll begin to understand the darkness of some of his writing. When you read about how he writes – he doesn’t know how a book will finish when he starts it – you’ll begin to understand some of his bizarre plot twists. In the midst of all of that, you’ll note that his work-ethic probably shames yours, his process is brilliant, his commitment to his wife is touching, and his fundamentals are impeccable. Every writer (13 at least and over) should read it. Dreamland Burning by Jennifer Latham: 1921 was the worst year in the history of my city, Tulsa. Latham spins a dramatic tale which comes loaded with historical and local references. If you’d like to learn about the Tulsa Race Riots (the term riot is way too soft), if you enjoy an entertaining story, or if you know Tulsa, you’ll like Dreamland. If you’re like me, and all three apply, you’ll love it. Speaking of writing, I’ve finished my second book. 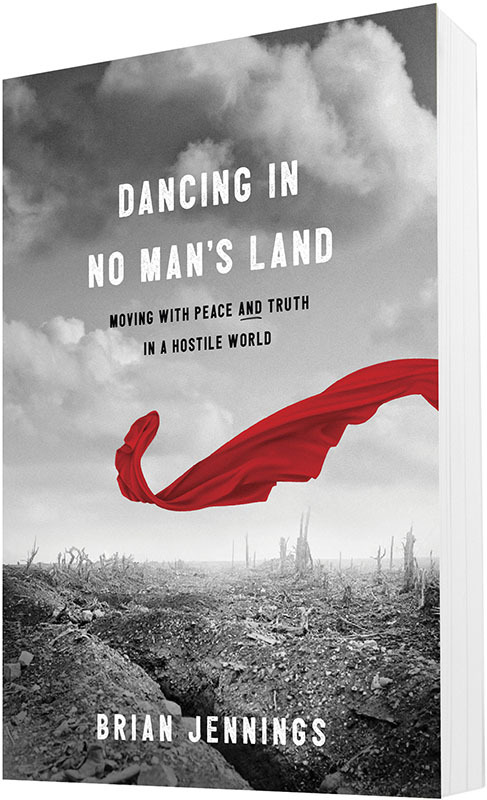 It will be released later this Spring and I’m absolutely convinced that our world needs to read it. I can’t wait to tell you more. If you leave me your email, I’ll make sure you are the first to hear the updates. 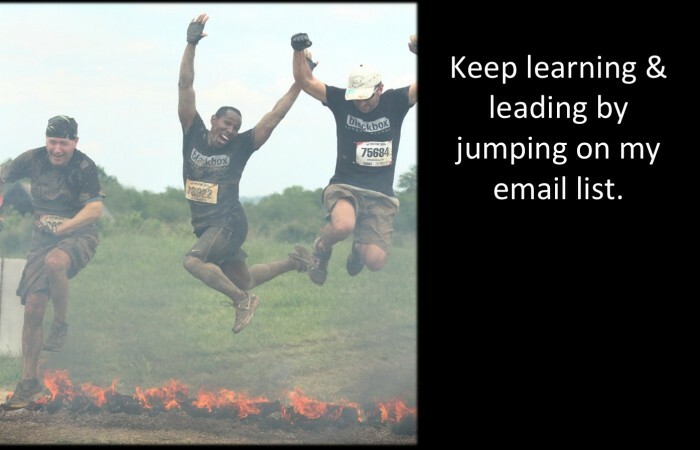 I promise I won’t bombard you with too many emails. I don’t like SPAM (either type). Know a parent? 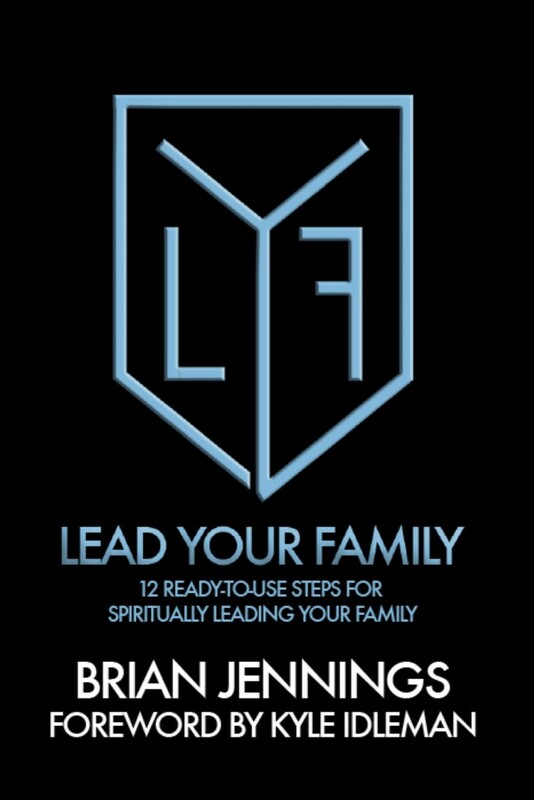 Help them lead their family with my book.